We are pretty sure the world stopped spinning Tuesday Sept, 9th in order for everyone to hear the latest news from Apple. They have officially announced that they are releasingApple Watch in early 2015 and the iPhone 6 later this month. No big shockers here. What was a bit of a shock however was that Apple was taking a step forward by upgrading the physical size of the iPhone. 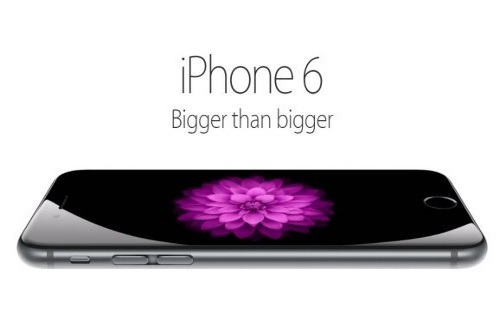 There will be two different sizes; the 6 will get you a 4.7 inch screen while the 6 Plus will get you a 5.5 inch screen. 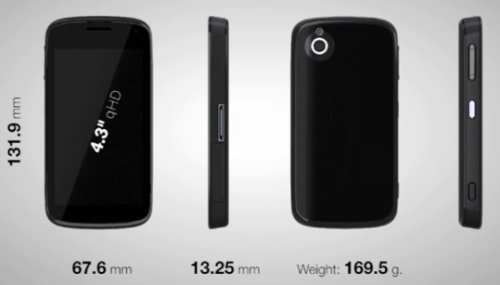 They have also slimmed it down again from the 5, and it will now be one of the slimmest smart phones on the market. Boeing Co, best know for creating jets and fighter planes, has announced on Wednesday that it will be releasing its own secure smartphone targeting the US defense and security communities. Boeing stated that they had identified a need for agencies to have secure data communications that current devices on the market have not met. The Boeing Black Smartphone will run on Google’s Android operating system and contain multiple features to maintain secure data storage and communications with the most significant of those being a self-destruct feature. Any attempt to break into the device case, according to Bruce Olcott of Boeing’s council, will trigger functions that will delete all data and software on the device leaving in inoperable. 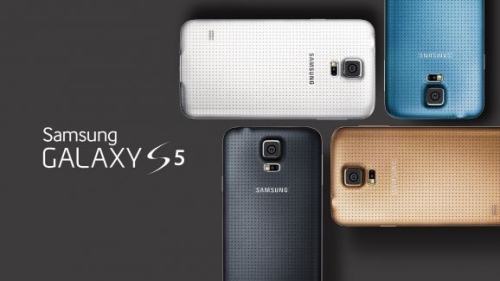 Samsung announced the release of the Galaxy S5 on Monday at the Unpacked 5 conference in Barcelona. According to the announcement, the much anticipated S5 will be available to the public in the US beginning April 11, but the initial release of pricing or what colors will be available, were not specified. Disney Mobile will be unveiling a new range of Disney smartphones that your kids will definitely want. They will actually be rebranded Sharp Galapagos 003SH phones, that have 3D screens that don’t require special glasses, not brand new models. 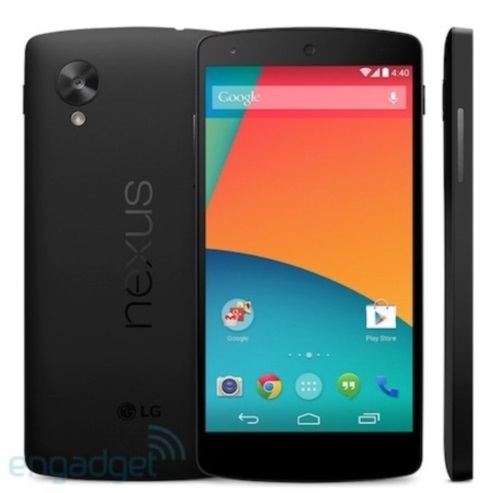 Some features of these kid friendly phones include 3.8″ 3D-displays, a 9.6 megapixel camera, and Android 2.2. They will also come with a special @disney.ne.jp MMS address, Disney home screens, apps, widgets, emoticons and specially designed covers. No info on pricing yet, but they will be available in February. 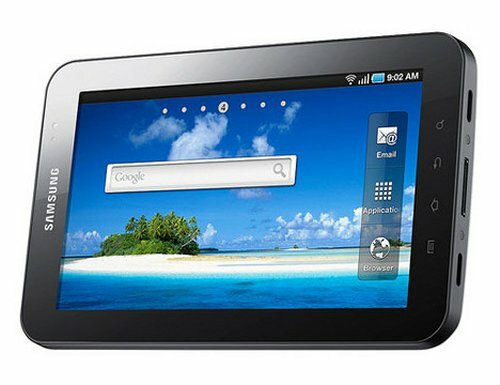 Word on the street is that Samsung is planning to launch its next-generation of Galaxy Tab tablets at the upcoming Mobile World Congress in February 2011, as well as a new range of Android-powered phones. Some of these new handsets will feature dual-core processors, Super AMOLED Plus displays and run Android 2.3 Gingerbread. They have already outed some great new gear at CES, so we can’t wait to see what they are offering. Looking for some retro gaming on your Android Smartphone? Well, you’re in luck. 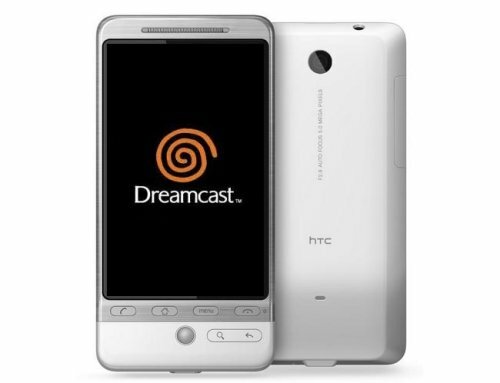 A new Sega Dreamcast Emulator is currently in development for the Android OS. It’s still in the early stages of development, but it shouldn’t be very long before you are playing the classics on your Android phone. Can you believe its been 11 years since the Sega Dreamcast was first launched? It was the first console to include a built-in modem and Internet support for online play. Sadly, it was discontinued a few years later, but remains a favorite of many gamers. Best Buy today has kicked off a post-Thanksgiving sale with a heavy emphasis on iPods. If you buy an 8GB fourth-generation iPod touch, you get a free GPS unit from the store’s in-house Insignia brand. Other iPods are also on sale, ranging from $5 for a fourth-generation iPod shuffle to $10 off new iPod nanos and $15 off the iPod classic. It’s a good day to buy an iPod it seems. Zune too. If you want a Zune HD, you can also get a deal, as those who buy the 16GB or 32GB models can get a Zune HD AV Dock for free. We have a ton of features in today’s smartphones and sadly that means more drain on the battery. It’s just a fact of life. As we can do more, battery life is sacrificed. Well, Elecom wants to help. They have come up with a pocket battery that was specially designed to recharge your smartphone. Inside, it holds a 1600mAh battery that will feature special tips for phones from various manufacturers including Apple, Samsung and Sony Ericsson. Hopefully this will hit the US market soon too. 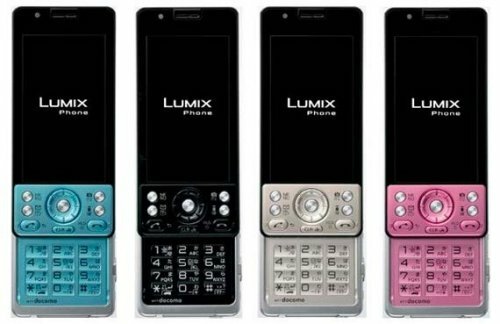 Panasonic’s phones will be based on Android, and the company hopes to differentiate them by emphasizing their networking capabilities with other Panasonic devices. Panasonic will kick off sales in Japan next year, with overseas markets following in 2012. Sounds like LG is pretty confident about its soon to be released Android-tablet, due in the fourth quarter of this year. The tablet is branded as part of the Optimus line and will take a different route than the iPad tablet. BlackBerrys and iPhones are so last week. The American consumer has voted with his wallet and it turns out that Android is his favorite OS of the last quarter. NPD has just announced their findings for Q2 2010 and they conclude that 33 percent of phones sold during the period had Android on board as the OS. This is the first time, since 2007, that RIM has not been in the lead for most purchased smartphone OS in the US. BlackBerrys accounted for 28% of the market and Apple’s iPhone is third with 22%. 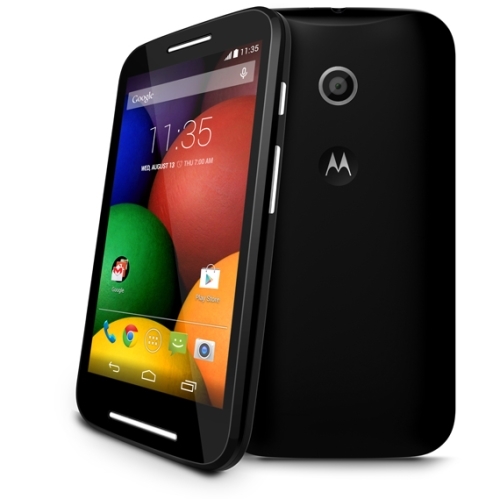 Motorola and HTC are the two big reasons for Android’s soaring ascent. Once again an LG representative has confirmed that a Windows Phone 7-powered handset is on the way and due in September. That handset is expected to be called the Pacific. 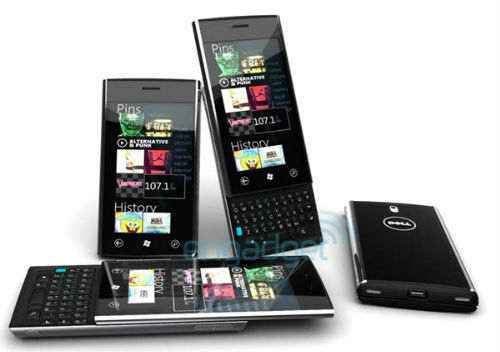 The company also said that more WP7 devices are coming before year’s end. LG is the third largest cellphone maker, behind Nokia and Samsung. Its phone shipments are slowly increasing, but it has fallen into losses due to a lack of smartphones, which has allowed Apple, RIM and other companies to grow much faster. Most of LG’s efforts this past year have focused on Android with only small efforts spent on Windows Mobile. Seems like more and more mini Bluetooth keyboards are coming onto the market. 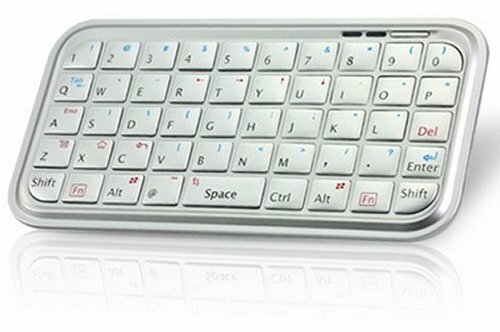 This Mini Bluetooth Keyboard for Smartphones is the latest, fresh out from Chinavasion. It’s about the same size as an iPhone and gives you 49 qwerty keys. It plays nice with Macs, PCs, PS3s and the iPad as well as Symbian60, Android and Windows Mobile 6.0 phone. It recharges via USB but sadly it lacks function keys. The price is only $23, which makes this one tempting.